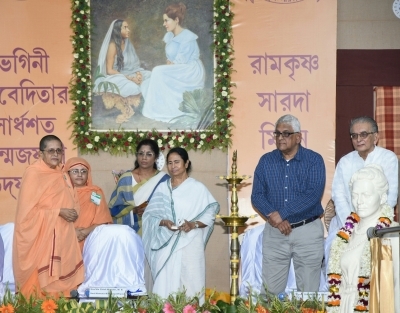 Kolkata, Oct 23 (IANS) West Bengal Chief Minister Mamata Banerjee on Monday inaugurated the restored house of Sister Nivedita here to commemorate the Scots-Irish social worker’s 150th birth anniversary. This comes ahead of Banerjee’s London visit next month to unveil a Blue Plaque at Sister Nivedita’s family home. The building at 16 A Bosepara Lane in Bagbazar was the site for her school for girls from middle class families. She opened it in November 1898 in the presence of Sri Sarada Devi and Swami Vivekananda. “I had requested Kolkata Municipal Corporation (KMC) to help in the renovation of this place. 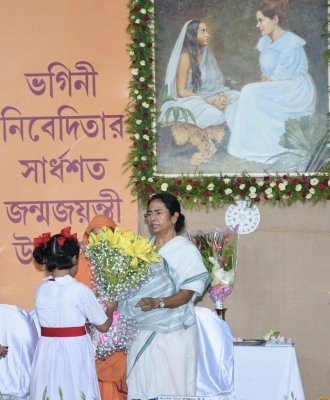 They took over this house, and after completing the renovation, handed it over to Sarada Math,” Banerjee said. As part of the facelift, fresh beams were laid on the first floor roof and arches restored in the rooms of that floor among other measures. 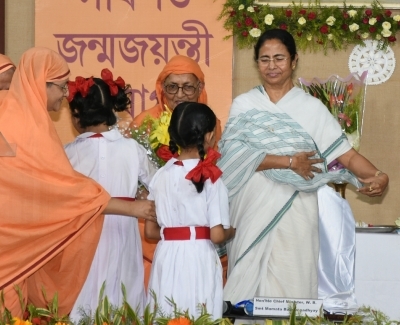 The dilapidated century-old two-storeyed building was acquired by the state government and subsequently handed over to the Sarada Math which proposes setting up a museum and archive to preserve Sister Nivedita’s writings etc. The KMC has declared it a Grade I heritage building. It was in this very house that Sister Nivedita lived and nursed and took care of the patients during the plague in 1899. Sister Nivedita was born Margaret Elizabeth Noble on October 28, 1867 in Ireland. She was a social worker, author, teacher and a disciple of Swami Vivekananda. She met Swami Vivekananda in 1895 in London and travelled to Calcutta (now Kolkata) in 1898. Swami Vivekananda gave her the name Nivedita (meaning ‘Dedicated to God’) when he initiated her into the vow of Brahmacharya on March 25, 1898. Banerjee will officiate as the chief guest at a programme in Sister Nivedita’s family home in Wimbledon on November 12. The London blue plaques scheme run by English Heritage links the people of the past with the buildings of the present. Started in 1866, it is thought to be the oldest of its kind in the world.